a few more months and it will be time to pick again. blueberry and blueberry/raspberry jam. Stop by and see us. We have been growing blueberries, apples and raspberries for 31 years. See our story on the (History link) We have been selling our fruit off the farm and at the local farmers market for 30 years. 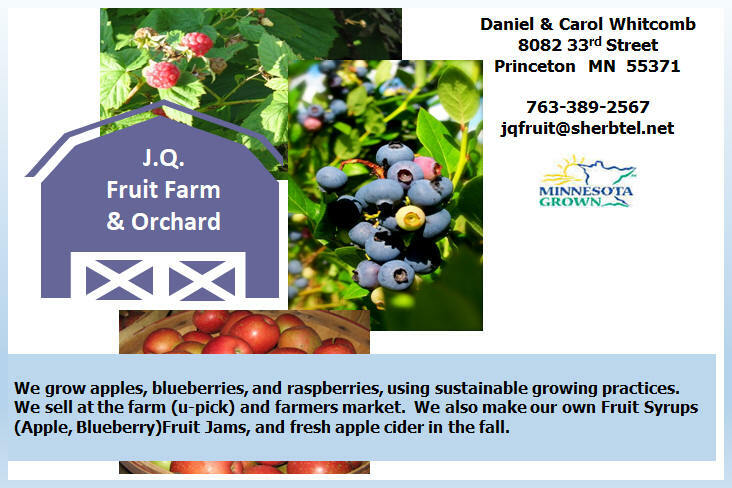 If you don't have a chance to get to the farm, we have our fruit at the Princeton Farmers Market on Saturday, and Isanti Farmers Market on Friday (starting on June 1st). study in 2015 and it turns out that our farm has one of the largest natural bee/pollinator populations.